Ticket reps are a vitally important marketing channel for a host of different types of events. Once an offline process, involving paper tickets and guest-lists, we have developed a platform to fully digitise this process. 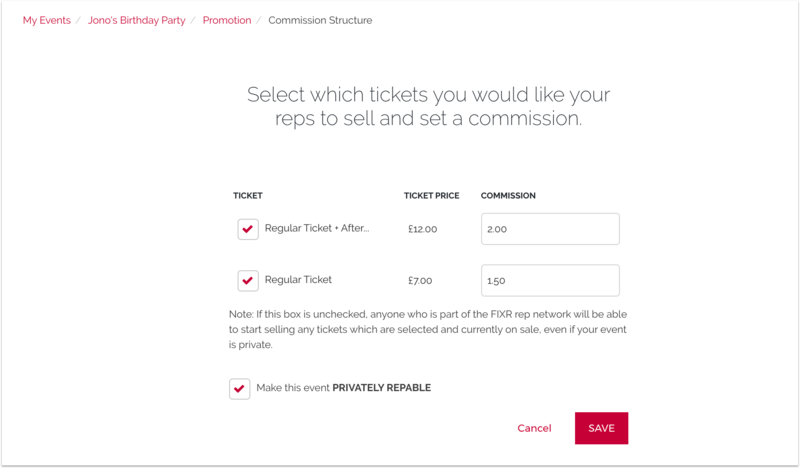 In order to set up reps you must first make sure you have created both a new event, as well as ticket type within your Sales Account at organiser.fixr.co. Once you have a draft event and ticket type set up - head to promotion - circled below. To get reps up and running you have to 1) set the commission you are willing to pay per ticket sold and 2) add individuals to rep your event. Adding commission is simple. Select 'edit commissions' circled above and select the amount you are willing to pay a rep per sale for each ticket type as shown below. You can also choose between making the event 'privately repable' or not. 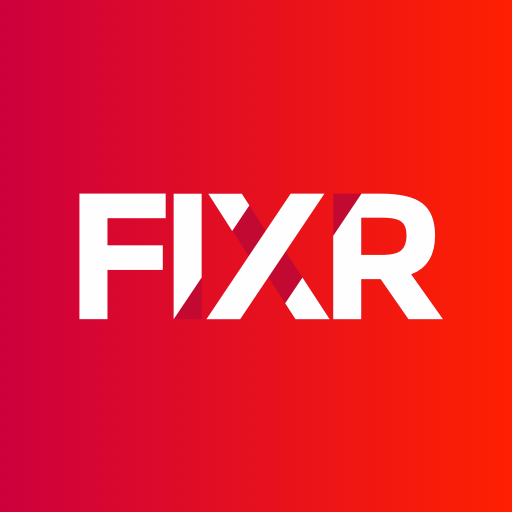 If you chose not to select, anyone who has signed up to the FIXR Rep Platform will be able to find your event, elect to rep and earn commission on tickets sold. If private is selected, only people you invite to join will be able to rep the event. 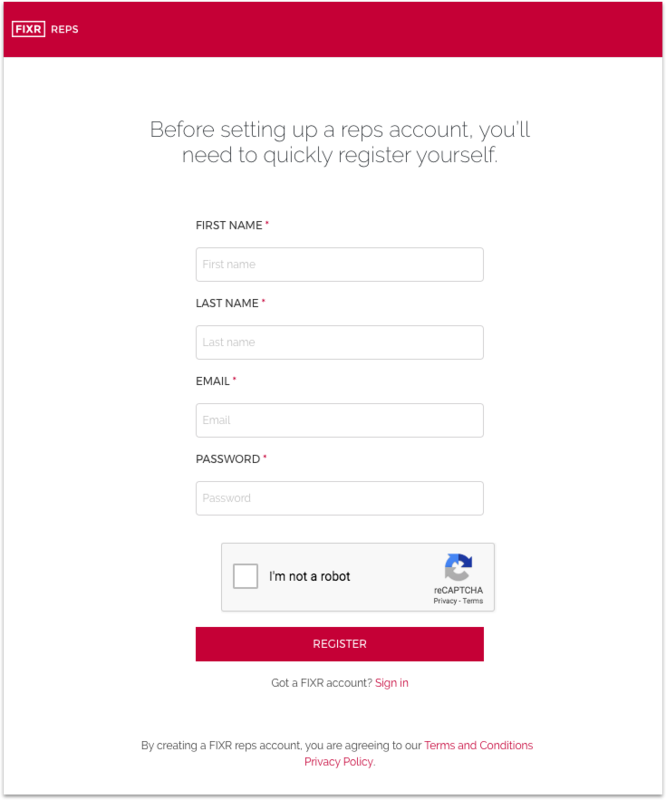 To add your reps - simply click the button circled below and enter emails of people you want to rep the event. for each event - sales made by those who l on these links will be attributed to that rep.
Once an event has finished reps are eligible to login to the Rep Platform and request payment of commission. Make sure that reps have added their bank account details to the platform before they request payment. 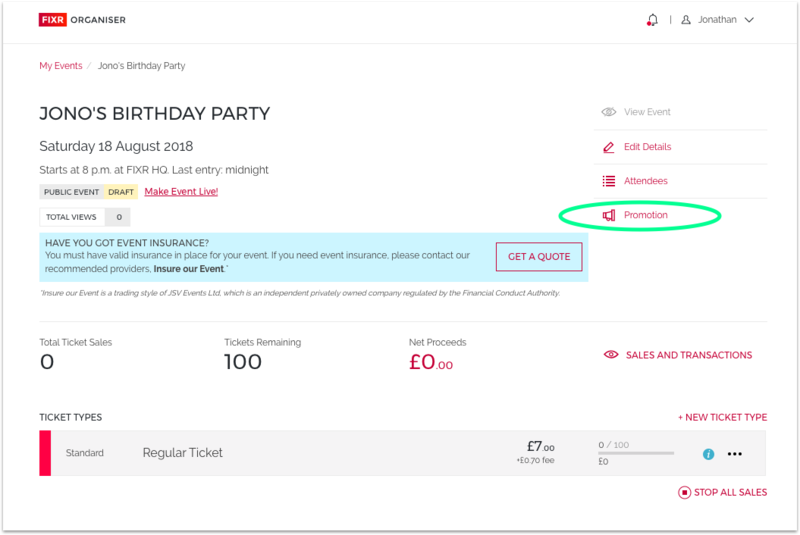 Finally, if you have created reps for an event, you can simply duplicate that team of reps for new events as you create them using the check box and dropdown on 'Add Reps Page' on the new event. lf you have any further questions about how to get set up with reps - please reach out here.